During these first weeks in the hospital, we were surprised–and grateful–that our grief and fear were punctuated by periodic belly laughs and immense joy. We discovered that on the underbelly of our crisis was the coziness, ease and familiarity of a reunion. Old and new friends, as well as family, appeared in our hospital room, providing comfort and good fun as we faced each day. One morning, I glanced up from reading a story to Annie and saw Juanita…my first friend…as she burst into the room, fresh from her flight from Chicago. 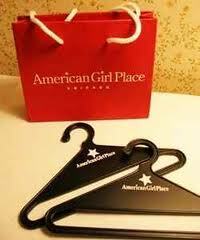 She was carrying what can only be described as a gargantuan shopping bag bearing the distinctive logo of American Girl. Before I could open my mouth, she shook her finger at me. “Don’t be mad,” she began. “This is necessary stuff. I wanted to bring a gift, and I decided that if I were five years old, these are things I would need. So I’m really not spoiling Annie…it’s just that she needs these things! It’s not that she wants them, you see; she needs them.” Juanita then turned her attention to my delighted daughter. I watched as they opened the bag, unwrapping a beautiful doll, along with every accessory imaginable, in addition to several outfits. This was an unfathomable treat; we could never have afforded such a luxury during this time of unexpected expenses. Juanita, prior to her visit, had consulted with her sister-in-law, an occupational therapist, to be sure that her purchases would encourage Annie’s motor skills without frustrating her. My heart was flooded with gratitude. Juanita then took me out of the hospital to a quiet bistro a few blocks away, where we enjoyed a delicious lunch, along with fits of giggles. My brother and sister-in-law, David and Katy, were frequent visitors to Annie’s room as well. David has the uncanny gift of finding the humor in any and every situation. He often entered the room “in character,” taking on a variety of hilarious roles. His visits frequently had us roaring with laughter as he made light of hospital routines and regulations. Annie was intrigued by his antics, and her lopsided grin and breathy giggles just spurred him on. Katy was a relatively new member of our family; she and David had only been married a year. Still, she stepped in to help as though she had always been a part of us. She was undaunted by the crisis, and pitched in to help with Bill’s care whenever possible. She was expecting a baby during this time, and we had fun dishing about pregnancy and baby names when she came to see us. When we moved to Cleveland, one of the things we were most thankful for was the reconnection with our friends, Mark and Anna. We didn’t know how important they’d be to us, until Annie’s illness. Their visits were relaxed and fun, sometimes taking on the feel of a double date, helping us to feel “normal” during this time. In addition, we needed a pastor who knew us well; we were wrestling with many tough questions and doubts. Mark (and Anna!) filled this role beautifully, providing a much-appreciated dimension to our healing team. Of course, our life included many new “friends:” our team of doctors and nurses. Though they never wavered in their professionalism, several doctors went above and beyond to provide comfort and fun. Dr. Bass became a part of our family. Even when we were no longer on her hospital service, she popped in to see how Annie was doing. 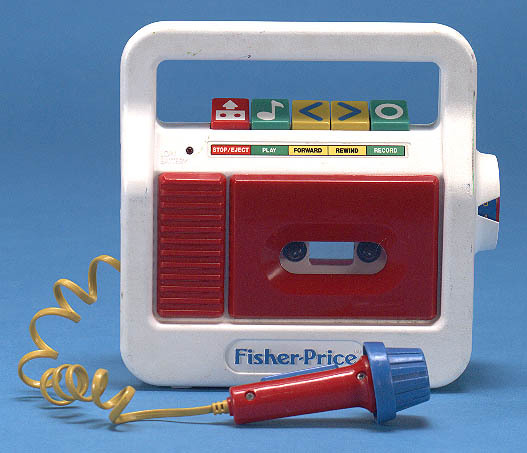 One morning, she arrived with a Fisher Price tape recorder with an attached microphone. “I thought she might like this…it will help her use her voice!” Later that week, she stopped by to visit while Annie was playing on her bed with some new toys. Someone had sent a wind-up bunny toy which bounced and shook while “singing” an Easter song. Dr. Bass stared at the toy in disbelief. “Oh, my goodness,” she said, “Am I just really tired, or is that bunny having a seizure?” Even Annie giggled! During our hospital stay, Tom’s life was quite fragmented. He went to work each day, and then came to the hospital for dinner. After that, he would travel back to see Bill and help to put him to bed. The routine of work was helpful for him, but I worried that he wasn’t able to have a break. One evening, Dr. Hoaglund, our favorite resident, poked his head into our room. Tom had planned to stay all night at the hospital that evening because of Annie’s upcoming surgery. “Hey, Tom,” Dr. Hoaglund said, “A couple of us are watching the Indians game in the lounge…want to come?” Tom looked at me. “GO!” I urged, thrilled that he could enjoy a little baseball with some wonderful guys. Baseball games. Bruchetta. Bunny toys and belly laughs…Humbly offered, gratefully received. Oh how I wish I knew you and Annie then. I would have brought her lots of presents and tried to make you laugh!! Oh, how thankful I am that we know you NOW…what a gift you are to us, dear Lori. I’ve been reading your story today and I want you to know that it is amazing. Hoping to have time to finish it today but will soon no matter what. What an inspiration you are. I too believe that the Lord takes care of us in times of need.